The Prime Minister's Office (PMO) has in principle agreed to bail out state-owned telecom firms MTNL and BSNL by addressing three issues. The PMO, in a meeting with telecom and finance ministries and Niti Ayog a few days ago, asked the department of telecom (DoT) to make a plan for allocating the firms 4G spectrum, grant them immediate financial aid and frame a voluntary retirement scheme for employees, according to an official source. "The government has taken a decision that both MTNL and BSNL have to be revived and sustained in a healthy manner. (A) senior officer from PMO held a meeting with DoT, finance ministry and Niti Aayog in which it has been decided that DoT will submit a detailed roadmap at the earliest to concerned authorities for the revival of MTNL and BSNL," the source told PTI. Both companies have also sought spectrum for 4G services through equity infusion from the government. 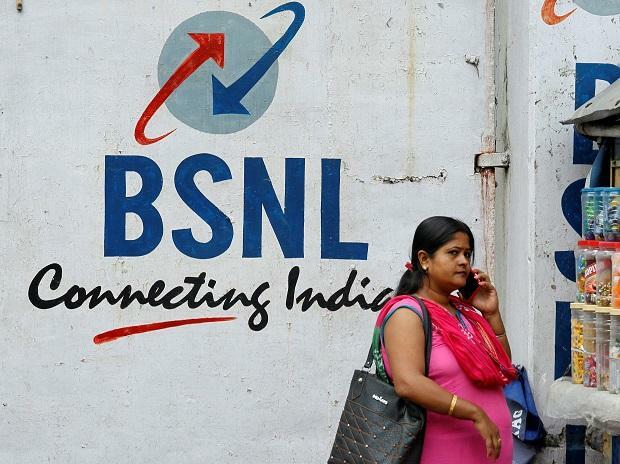 BSNL, which has the lowest debt--of Rs 14,000 crore--among all telecom operators, has sought 4G spectrum across India through equity infusion of Rs 7,000 crore. The total spectrum will cost the firm Rs 14,000 crore. The VRS scheme for BSNL and MTNL will have a revenue impact of Rs 6,365 crore and Rs 2,120 crore. The revenue-to-wage ratio in case of MTNL has swelled to 90 per cent while in the case of BSNL it is around 60-70 per cent. The DoT has recommended that VRS of both PSUs should be funded through a 10-year bond issue and the bonds should be paid back by lease revenue that they will get from land asset monetisation.